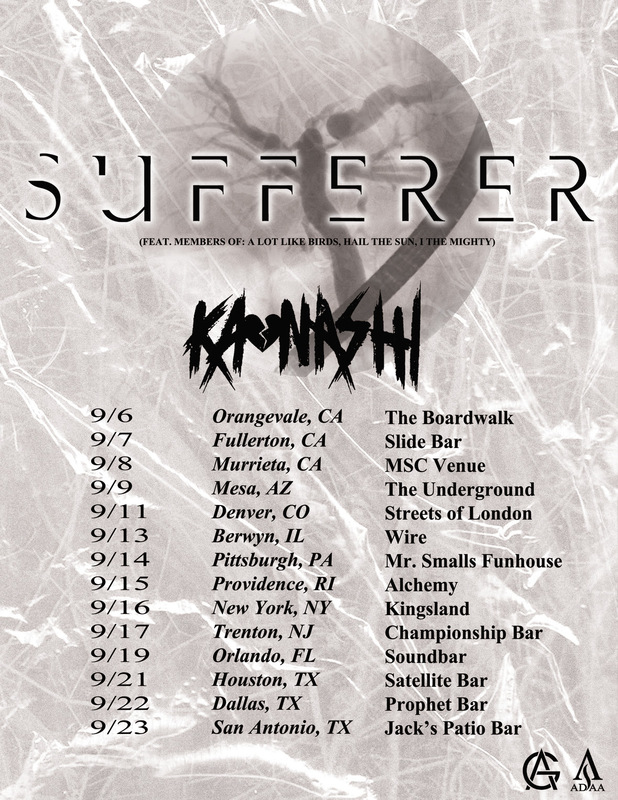 California “supergroup” Sufferer has announced their first cross-country tour. Originally an idea for a standalone album about anxiety & depression, Sufferer is making their debut onto the touring circuit with a full-US outing this September. Comprised of members from A Lot Like Birds, Hail The Sun, and I The Mighty, Sufferer is a “heavy” band, but only as heavy as the subject material. Last September’s debut LP details a day in the life of a Sufferer, from his panic immediately upon waking to the moment his brain finally shuts off at the end of his day. To help guide the narrative, three vocalists (portraying the Subject, his Anxiety, and his Depression) are heard at times screaming over each other, arguing for control, and at other times singing through moments of helpless soliloquy.